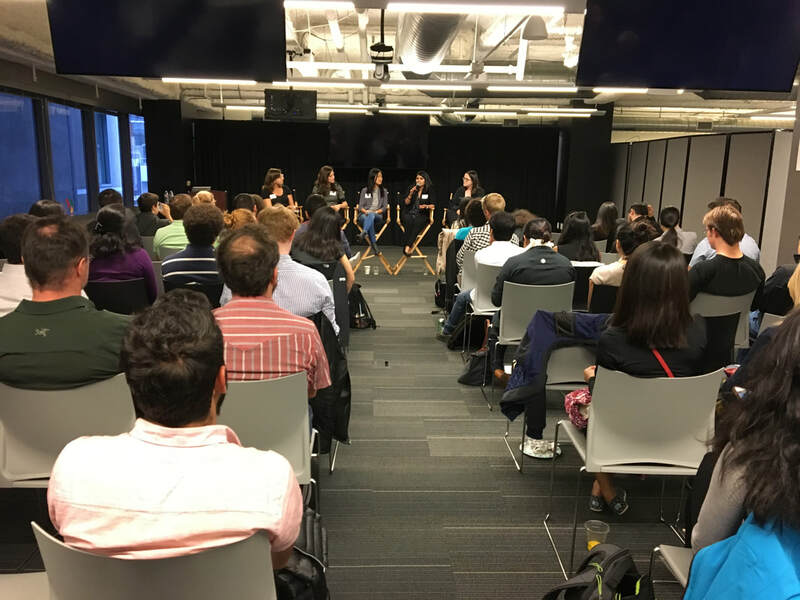 From left to right, Katherine, Elena, Laura, Yesh, and Marie, at Google Launchpad talking about the career paths for engineers. 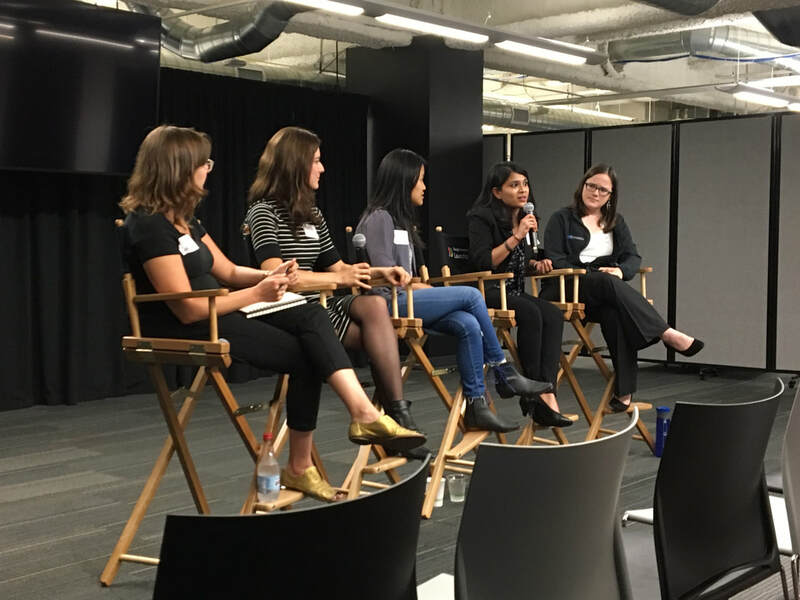 On August 2nd, four engineers gathered to talk about their career path and how they've navigated or chosen between startups and corporate jobs. Subject matter expert (SME) vs. management - Value the time spent executing as a subject matter expert. People may ask you to move into management early, but stay a SME as long as you need because it will lay a solid foundation for management later in your career. Management will inevitably force you to become a generalist. However, the deep knowledge you acquire on one subject will enable you to identify patterns in other areas that you may have to manage. Yes, the company matters, but the team you’re in matters, too. During the interview process, ask questions that will allow you to assess how the team works together. Sometimes the biggest factor in your job making decision is the impact your work can have. Whether it’s taking part in the endeavour to transition into a clean energy future or just an app that brings a smile to a consumer’s face, find the impact that drives you. Be honest with yourself. At the end of the day, choose the job opportunity for what and how you need to learn at the time. Sometimes startups can be too deadline driven and there is no one to show you the ropes. However, this is a prime opportunity to hit the ground running and learn on the job - a highly marketable skill all in itself. Marie: The focus of your job depends more on the role itself than the size of the company. Service engineering definitely brings a broad area of focus on many different aspects of our systems. Each job is also what you make of it: if someone wants to stay in focused on one thing so be it, but the opportunity to expand your scope and knowledge base is definitely present and appreciated. Yesh: Breaking into the professional world is even harder as an international student. Definitely start getting yourself out there early. It helps to recognize your unique combination of skillsets and capabilities and look for companies that have those specific requirements. Katherine: Yes, job transitions are possible. That’s the great thing about software. You see software engineers now that have come from many different backgrounds. Maybe they were previously a writer or simply working in another engineering discipline. You’ll get it as long as you’re ok with trying hard and being terrible for the first two years. Lauren: At one point, I did ask myself whether I wanted to be on the business or engineering side. At another point, I thought I wasn’t the “programmer type”. What I did was I observed moments that were fulfilling. As a product manager, I decided filling the motives for different people was emotionally draining - it’s important know yourself. But business vs engineering is not so black and white. Also, a big thank you to our hosts, Google Launchpad! 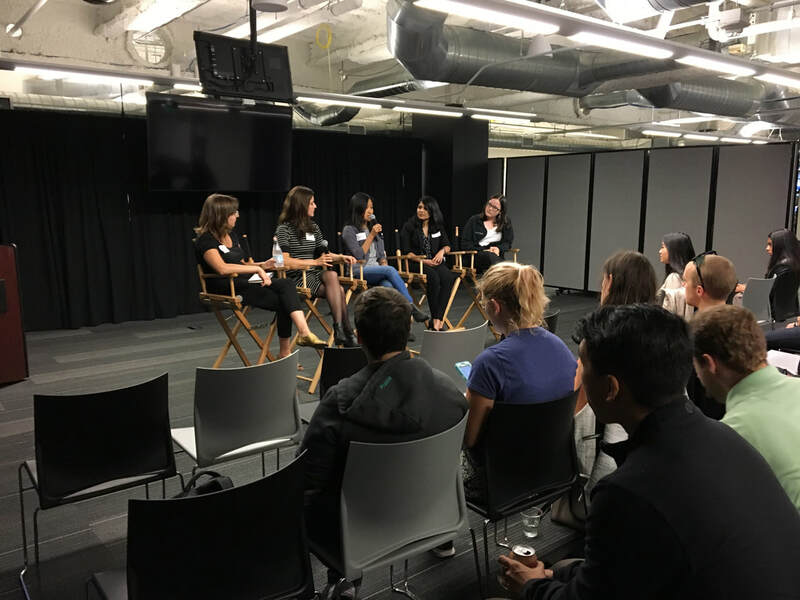 Subscribe here to receive biweekly event updates from Launchpad Space, Google's new event Space in SF where developers and startups can receive free technical training, one-on-one mentoring and more! Treviso Partners is live! We're ready to get to business.